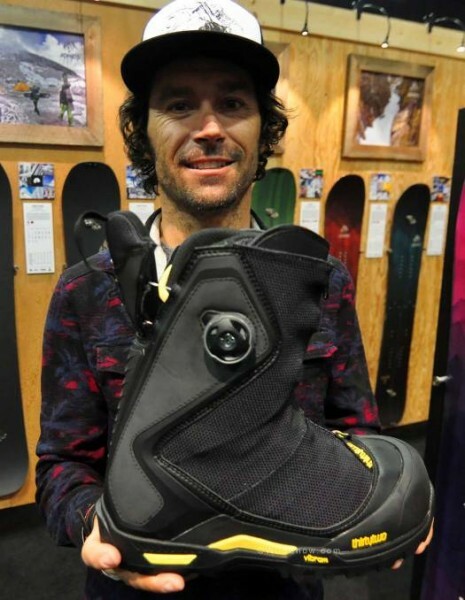 Here’s Jeremy Jones with his ‘walk-mode’ boots. Hmm, we’ve been waiting for better walk-mode binding high back so I sure hope there’s some of those for next year (Spark R+D I’m talking to you). ← Older: G3 is on board.